The beauty of statement jewelry (other than the jewelry itself!) is that it can polish any look instantly and add a touch of style and sophistication. A dramatic necklace or intriguing earring can turn up the notch on a simple ensemble, or make any fashion-forward outfit sparkle. However, it can be very easy to go a bit overboard with statement jewelry and overwhelm your look. That's why we've created this guide for making the RIGHT kind of statement with over-sized jewels, full of tips and tricks to live and shop by. 1. Make your favorite LBD stand out of the crowd. Breathe new life into a little black dress that you've worn 100 times by pairing it with a chunky necklace. 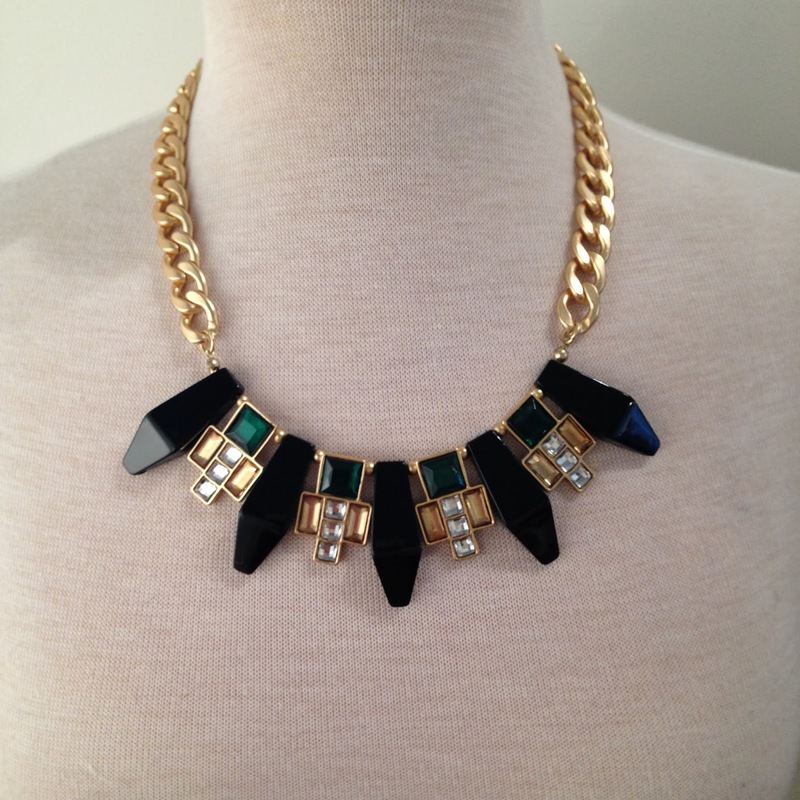 This stunner with geometric lines and a matte gold chain is a perfect companion for an elegant evening look. Available at JOE, $44. 2. Consider your neckline before throwing on a dramatic neck piece. High necklines are fabulous backdrops for adventurous necklaces. Opt for a piece with a shorter length, and think of your face as the crown jewel. Scooped or plunging necklines typically look best with necklaces that have a bit more length, that won't interfere with your decolletage. 3. Get creative with color. Find vibrant pieces that will add a splash of hue to your basics. Have fun combining a bright top with a complimentary-toned bauble. We particularly love the look of this turquoise bracelet with our magenta romper by Finders Keepers the Label. Bracelet, $22 and romper, $154. 4. Stick to making one statement at a time. Okay, so once in a while it's perfectly fabulous to dress by the, "more is more" philosophy. But in most cases, to achieve maximum sophistication, it's best to wear just one statement piece and keep any additional jewelry minimal. For instance, a pair of larger-than-life earrings like these art deco-inspired studs will accentuate your dazzling smile, but fight the temptation to over-style your look with a sizable necklace. Instead, a simple bracelet or cocktail ring will pull your ensemble together without weighing you down. 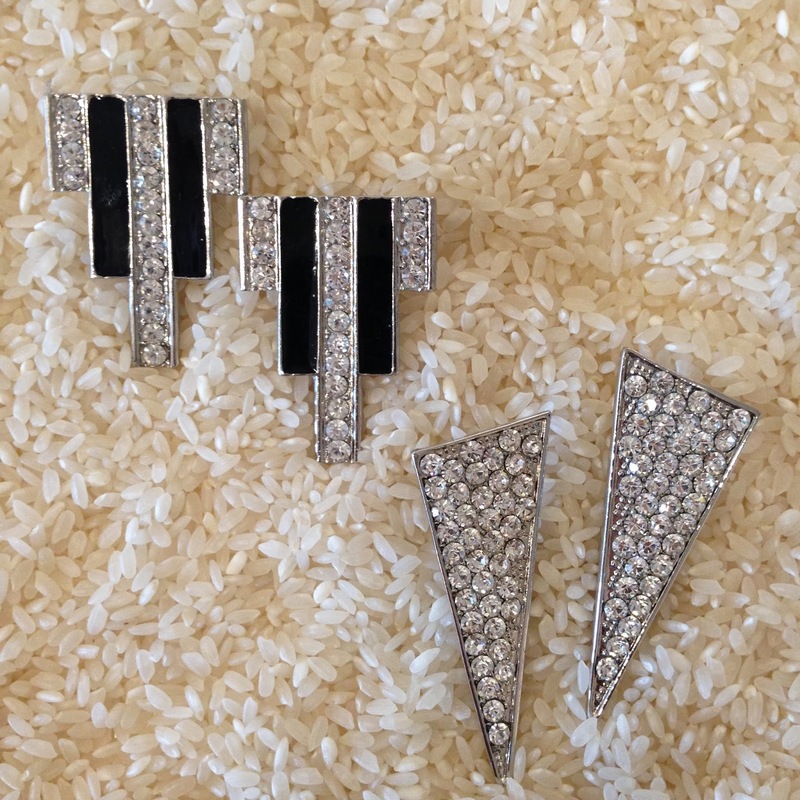 Deco Earring, $26. Zeppelin Earring, $28. 5. Don't overspend on trendy styles. This is true of everything in your wardrobe. Invest in the classic, high-quality pieces you can wear forever, and set a stricter budget on of-the-moment jewelry. Here at JOE we keep our ultra trendy customers in mind when selecting reasonably-priced pieces for our store - like this gorgeous coral and burnished gold necklace, priced at just $58! Plus, at this price point, you'll have saved enough money to shop next month's jewelry trends. 6. Most importantly, have fun. Let the compliments roll in!